So who is this tagger decorating our trails? Well it’s none other than TDLT’s stewardship czar, John Svahn. 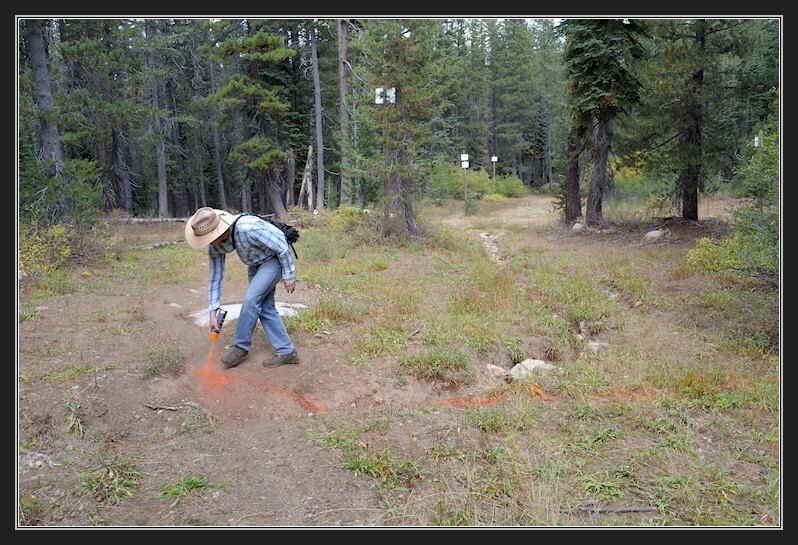 John was out this week marking the trail drainage points that will be excavated on the Royal Gorge trails starting this week. Good stewardship in action!